You are here: Home > OMG, they changed the rules to save money! No, not mammograms, speed limits. OMG, they changed the rules to save money! No, not mammograms, speed limits. There has been much righteous indignation expressed in response to the new US Preventive Services Task Force changes that no longer recommend routine mammograms for women aged 40-49. The indignation takes two basic forms. The first is the assertion that it is worth any amount of money to save even one life. The second is that the recommendations are cynically motivated by a desire to save money by “rationing” healthcare. Yet people fail to consider that we make policy decisions all the time because we don’t believe that it is worth any amount of money to save even one life, and because we want to save time and money. Consider the case of highway speed limits. 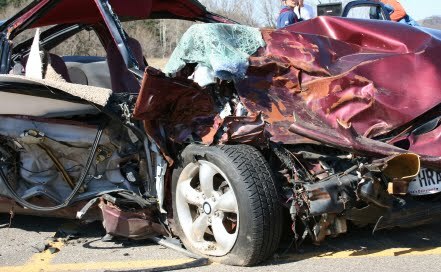 It is well known that lower speed limits decrease fatalities. Since over 37,000 people die each year on our nation’s highways, this is not merely an academic point. If we reduced the highway speed limit to 25 mph we could undoubtedly save tens of thousands of lives. If, in addition, we mandated that all cars were armored like Sherman tank, we might be able to save every one of those more than 37,000 people each year. Yet we don’t do that. Why? Because it would cost time and money and we don’t think that it’s worth it. Of course not every hour saved is money earned, so the real cost per fatality is probably far lower. Regardless, as a matter of policy, the American people don’t think it is worth the amount of time and money it takes to save one additional person from a fatal car crash. The relationship between fatalities and the highway speed limit is just one example of the myriad policy decisions that are made every year that must balance lives saved against cost. Although opponents of the new mammography guidelines are trying to characterize such decisions as tawdry at best and immoral at worst, there is no other choice. We are always forced to draw arbitrary guidelines. Why, for example, should the highway speed limit be 65 mph? Why not 75 mph? Or for that matter, why not 69.3 mph since there is nothing particularly special about whole numbers ending in 5? Each decision represents an arbitrary balancing of costs against human lives. Similarly, though people claim to be outraged at dropping the recommendation for yearly mammograms in women aged 40-49, why aren’t they clamoring that the recommendations should be extended to yearly mammograms for women aged 30-39? If they truly believed, as they claim that they do, that it is worth any amount of money to save one life, they should be insisting on screening for women aged 30-39 since breast cancer can occur in that group, too. Moreover, there’s nothing special about whole numbers that end in 0. Why not recommend yearly screening women aged 28-39? For that matter, there’s nothing special about yearly intervals. Why aren’t they recommending screening for all women every 6 months instead of every 12 months? Surely we could save a few more lives that way, too. The fact is that we are forced to make relatively arbitrary policy decisions when it comes to safety issues of any kind. We are always forced to balance benefits and costs. We don’t really believe that it is worth any amount of money to save even one life. We don’t even believe that it is worth getting to our destination a little later to save 37,000 lives lost on the highway each year. That’s why the outrage over rationing is entirely misplaced. If by rationing people mean considering cost when making safety decisions, we ration every day in many ways. We live in the real world, and in the real world there is not unlimited money. A dollar spent on mammograms is a dollar not spent on another form of healthcare that may have a much better benefit to cost ratio. It is not rationing to suggest that some money spent on mammograms might be better spent elsewhere. It is merely common sense.